The Citroen Berlingo is a spacious and modern LCV that can adapt to a variety of situations. With three front seats, wide sliding side doors and an effective load volume of 4.1m3, the Citroen Berlingo is a great choice for a wide range of users. It’s never been so easy to lease a Citroen Berlingo. The Citroen Berlingo comes in three different trim levels, the entry level X, followed by the LX and the top of the range Enterprise. The Citroen Berlingo X comes as standard with features such as 15” steel wheels, steering wheel mounted audio controls, Smartnav Navigation systems and Trackstar security. The Citroen Berlingo LX comes as standard with features such as steering wheel mounted audio controls, cruise control and variable speed limiter, a 12V socket on the central dashboard console, a removable PVC load floor mat and Trackstar security. The Citroen Berlingo Enterprise comes as standard with features such as DAB radio (with CD and MP3 player), air conditioning, Bluetooth with USB box, an Alarm, 15” steel wheels and the Berlingo Super Plus pack. If you would like to lease a Citroen Berlingo our prices start from £132.50 per month + vat. 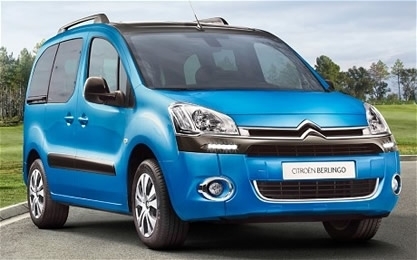 To see a selection of Citroen Berlingo’s check out our manufacturer’s page.